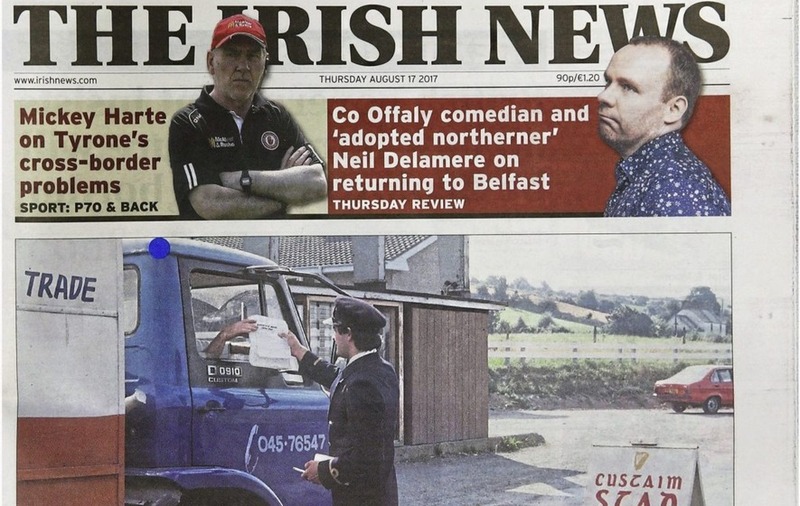 THE Irish News has reported an increase in sales for the first half of this year, it has been revealed. The latest ABC (Audit Bureau of Circulations) figures show that The Irish News remains the best performing title of the three main Belfast morning daily newspapers in Northern Ireland. 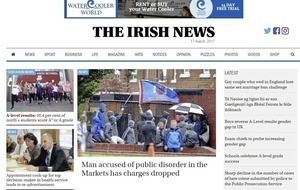 Between January and June 2017 The Irish News had an average overall daily circulation, including print and digital, of 36,115 (35,463 print and 652 digital), an increase of 592 (or 1.7 per cent) on the previous six months and 194 (0.54 per cent) on same period last year. The newspaper further saw an increase of 1.86 per cent in its market share to almost 40 per cent (39.98 per cent). Some 35,280 of our papers were actively purchased. The 'Island of Ireland' report was released yesterday, with the overall UK regional newspaper sales figures to be announced next week. The Belfast's Telegraph's overall circulation from January to June was down by 728 copies (or 1.8 per cent) on the previous period. However it freely gives away or discounts almost 10,000 papers every day, and its ‘actively purchased’ total came in at 29,403 - just less than 5,000 fewer sales a day than The Irish News. The overall circulation of The News Letter (Jan-June) was 14,900, down 575 copies (3.7 per cent). At full-price it sold 14,775, a drop of 3.8 per cent on the previous six months. Irish News editor Noel Doran said he was pleased with the latest ABC results, which highlight an increase of 44.9 per cent in online readers who subscribe to read our newspaper. "The bond between newspapers and their audience is a crucial one, and, during a highly pressurised period for our industry, it is particularly gratifying to have official confirmation that our figures are growing." "This is a considerable tribute to our staff and contributors across all our departments, and we are determined to build on the trust in our title which the ABC report so clearly demonstrates." "We are delighted with the Irish News performance in the first six months of the year, which reflects well on the need for quality journalism to deliver stories with insight and analysis. "As we grow our readers across our print and digital platforms there is a strong sense of the value of the analysis and insight that we can bring to local news stories. 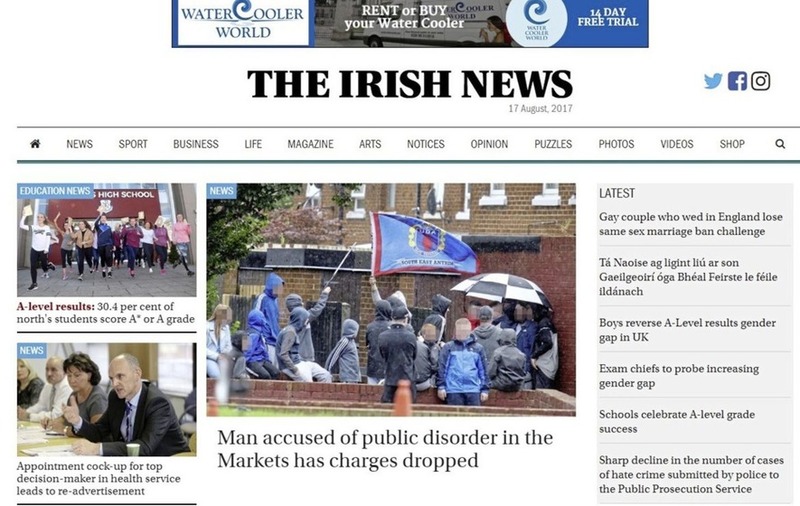 Towards the end of August we will start to move our columnists into a new premium section online and readers will need to be subscribe to irishnews.com in order to read our news columnists. This is a important next step on our online strategy to allow us to continue to deliver quality opinion," he said.